I had hoped I would see the last of the business with Andrew Bisharat's rant but Rock and Ice decided to run it, solecisms and grammar issues intact, on their web page. Well done. I will not be renewing my subscription to the magazine going forward and their news feed has been removed from my site. I can understand AB posting it on his own page but I cannot understand why a "legitimate" media outlet would put up such a hastily and poorly written rant except to bolster the "controversy" and generate page views. While there is an opportunity for a real debate on this topic, the magazine has done the climbing community a genuine disservice by endorsing the piece which is neither funny nor accurate. I know nobody at R&I will lose sleep over my actions but I feel it is the right thing to do. UPDATE: I just received word from an editor at the magazine that Rock and Ice will be taking down the rant mentioned above. Accordingly I am retracting the above statement. I am sure this will not be the last of this story but I am happy to see a constructive step being taken! 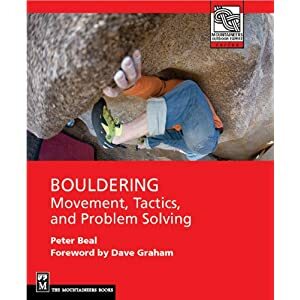 As Rock and Ice fights for any semblance of relevance in today's climbing world, they are stooping to a rather low bar (as exemplified by Andrew Bisharat's style), so I'm unsure why you would be surprised by their actions?